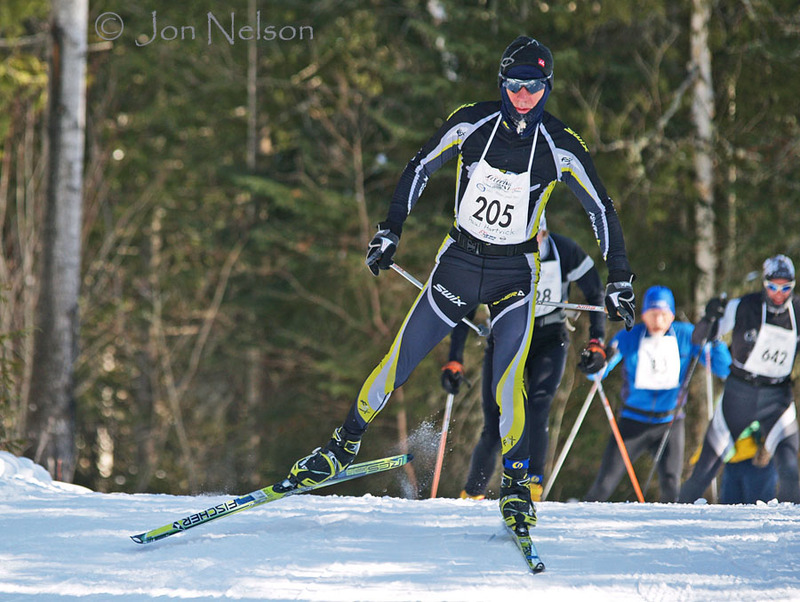 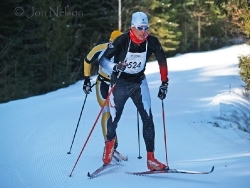 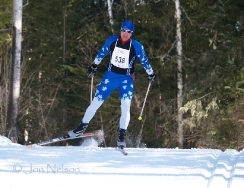 Posted March 29, 2011 in Cross Country Skiing Photography. 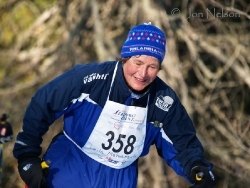 The 34th annual Sleeping Giant Loppet was held on March 5, 2011. 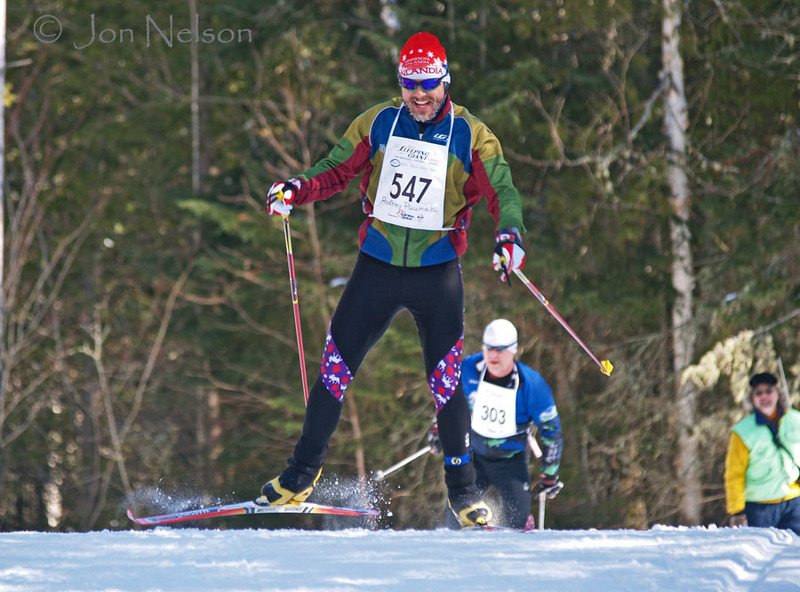 Close to 800 skiers took part in the loppet on a beautiful, warm, sunny day. Timo Puiras won the 50 km Classic race and broke his father's record which had stood since 1984. 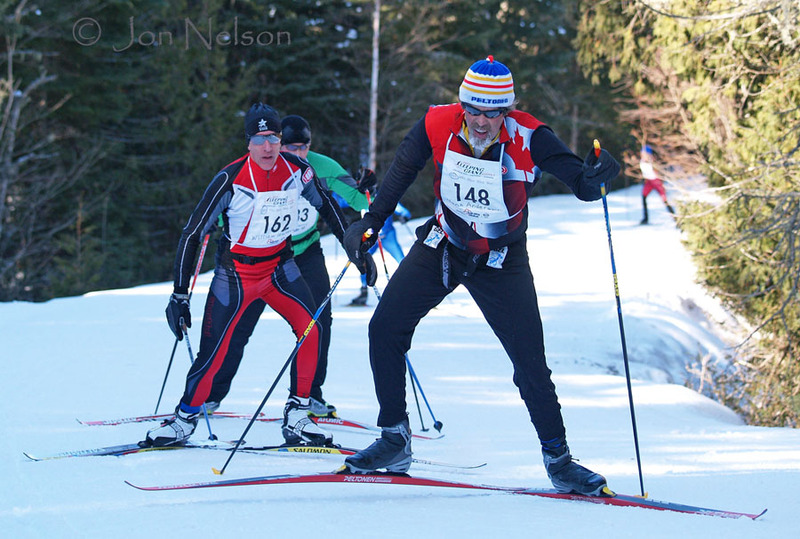 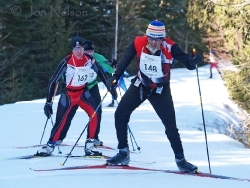 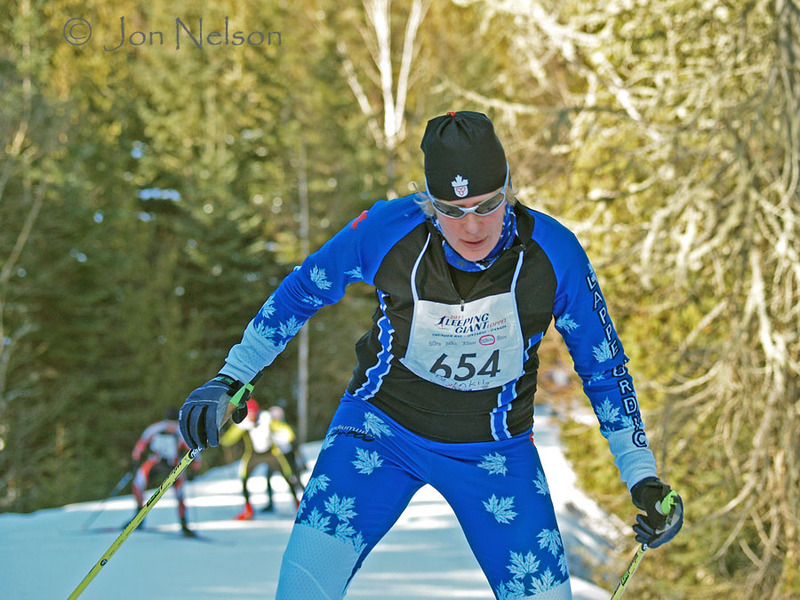 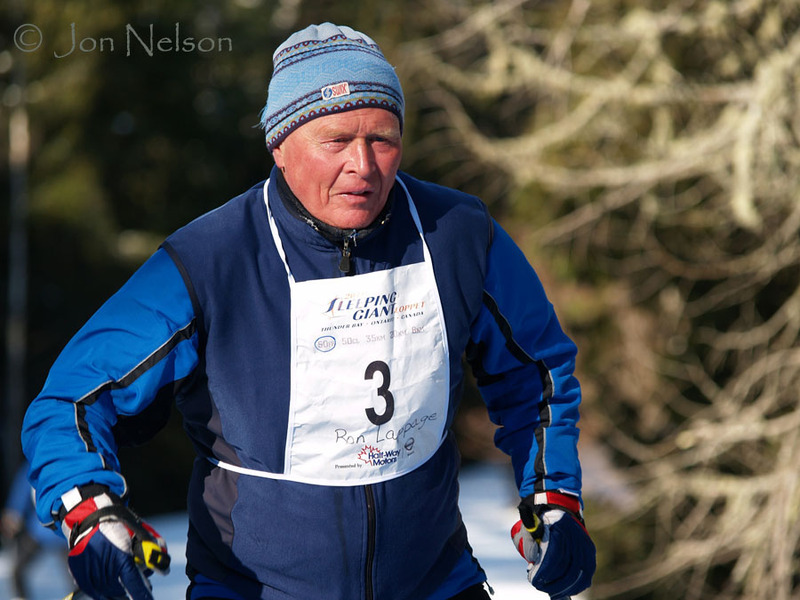 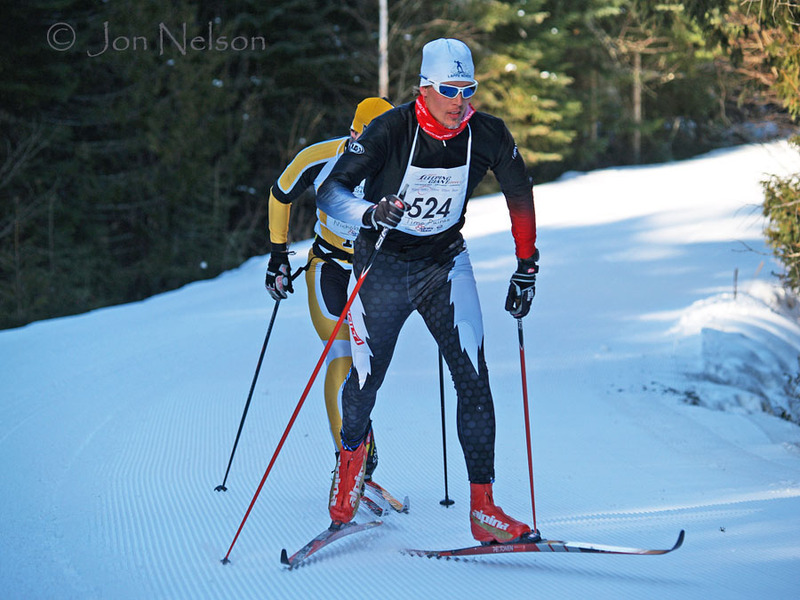 Ron Lappage, skiing the 50 km skate race, has skied in every one of the loppets at Sleeping Giant. 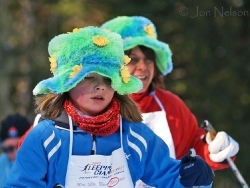 A mother and daughter skiing wearing colourful hats. 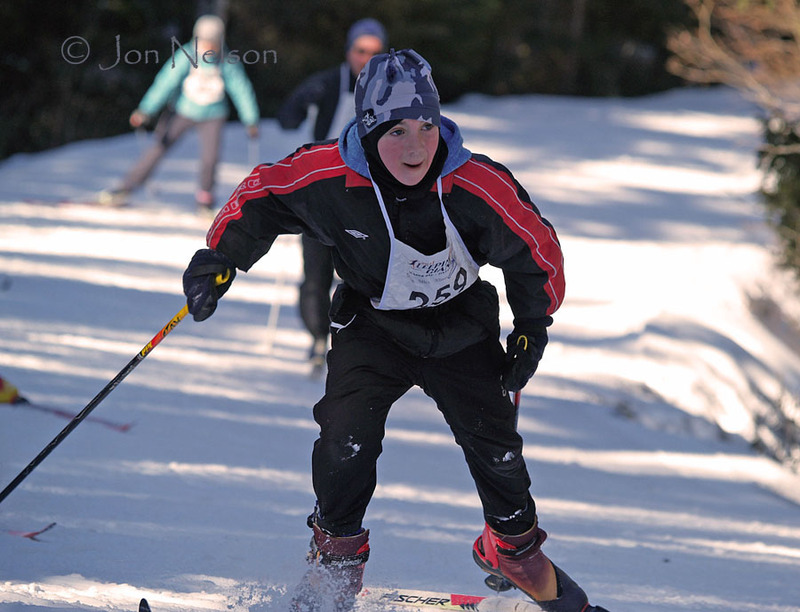 A young man skiing up the longest hill at the sleeping Giant Loppet. 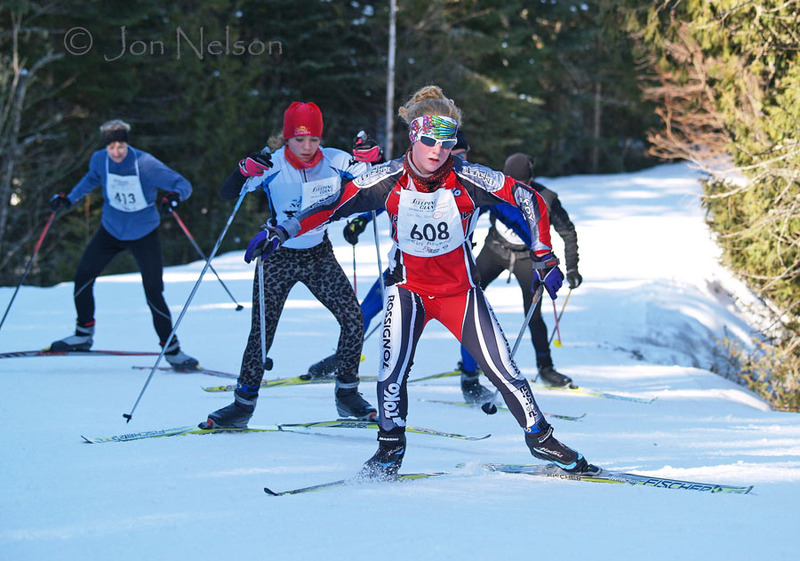 A young woman leads a charge up a hill near the begginning of the course. 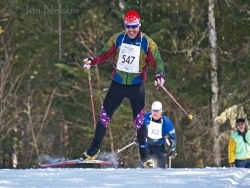 A skier comes over the crest of a small hill near the end of the course. 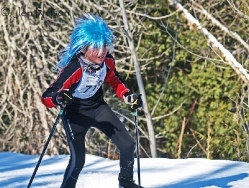 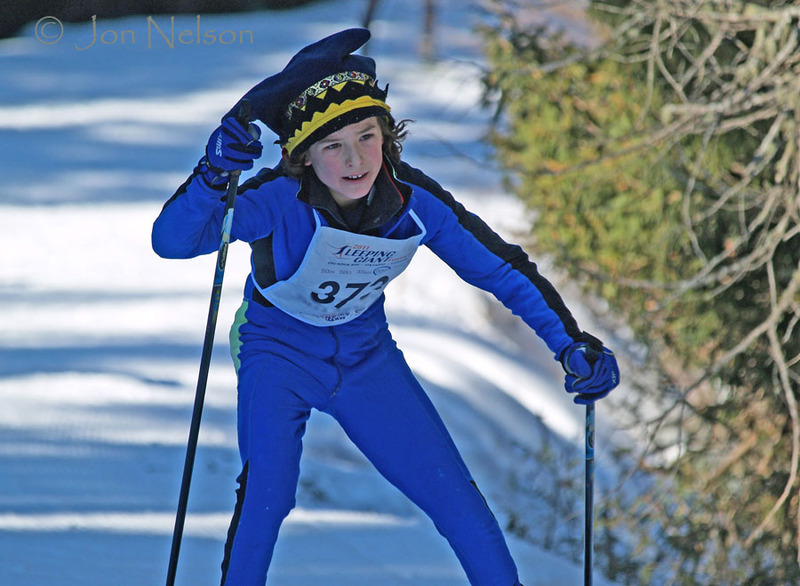 This young man skied the loppet wearing a crown hat. 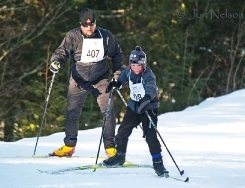 A father and son skiing in the Sleeping Giant Loppet. 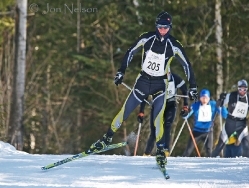 A skier moving rapidly not far from the finish of the 50 km race. The blue hair added style and warmth. Leila Metsaranta skiing the Sleeping Giant Loppet. 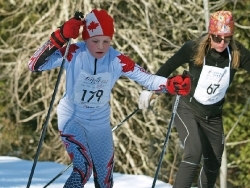 Many young skiers skied the 20 km course. 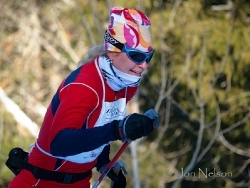 Karrie Fabius won the women's 50 kilometre Classic race for the second year in a row. Celebrating the approach of the end of the loppet. 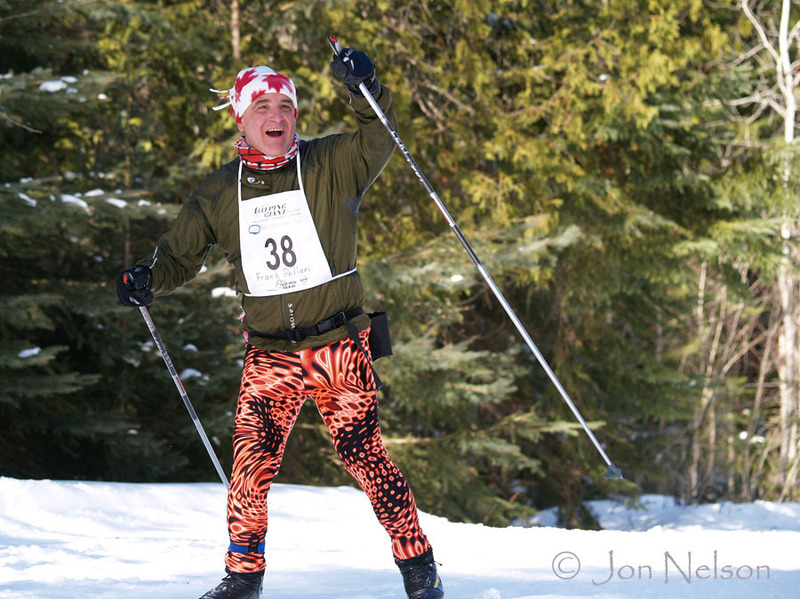 Robb Martin is enjoying the last two kilometres of the 50 km race. 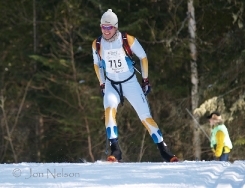 There are so many participants of Finnish heritage that the end of the race could be called the finnish line. 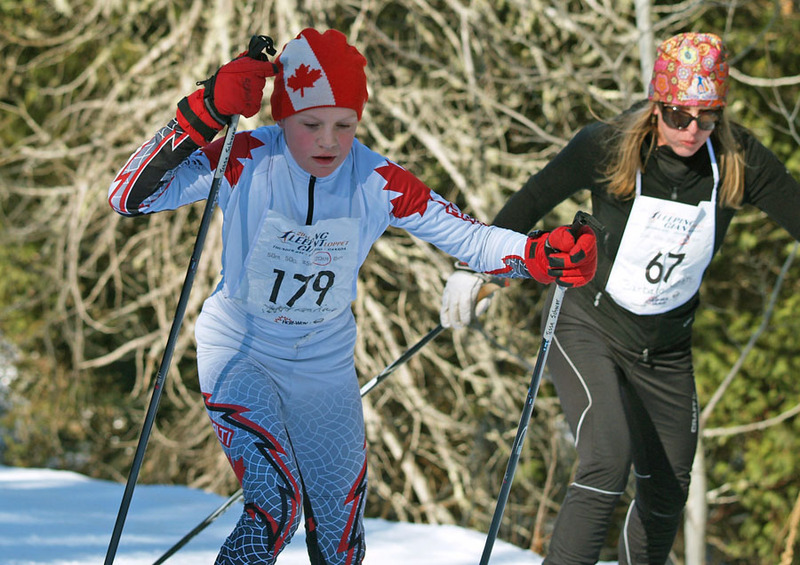 Both the Lappe Nordic Centre and Kamview Nordic Centre were well represented at the Sleeping Giant Loppet. 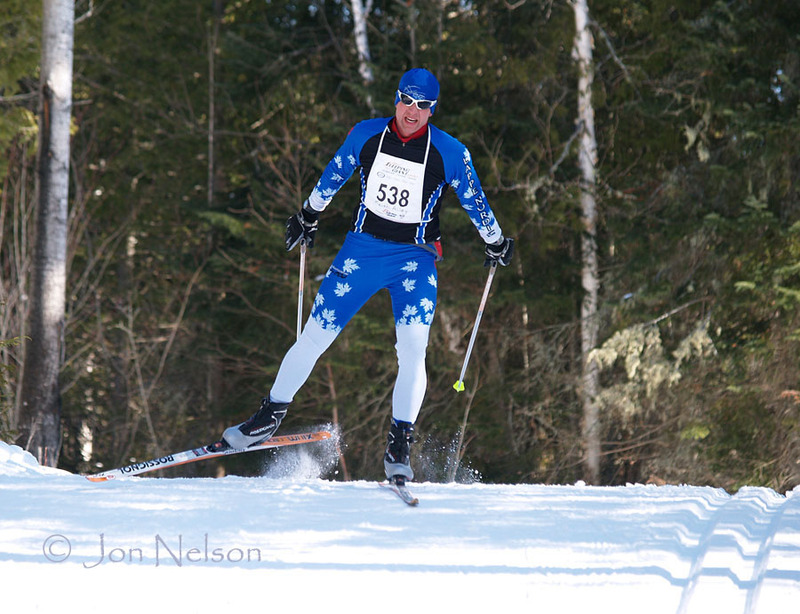 Skiers beginning the climp up a long hill near the beginning of the Sleeping Giant Loppet. 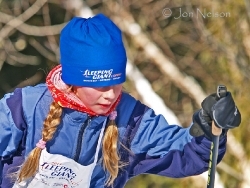 A young lady wearing a Sleeping Giant Loppet touque charges up a hill. 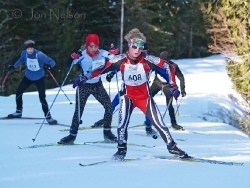 Thanks for sharing your photography talent with the skiers in the Sleeping Giant Loppet. 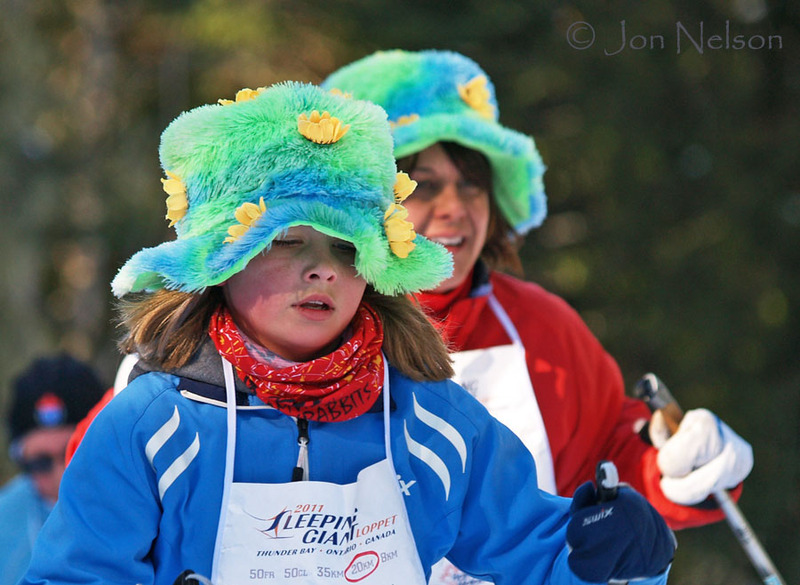 The photos create memories that will last a lifetime. 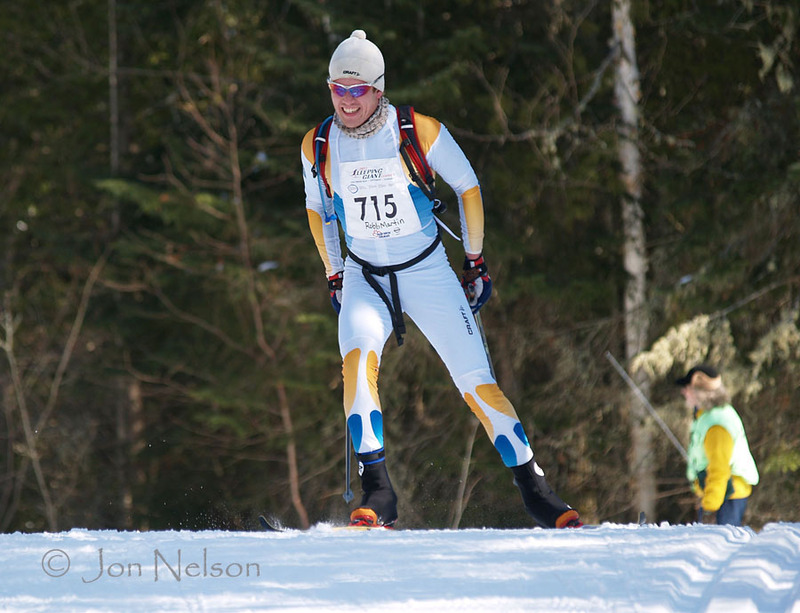 Thanks so much for doing this! 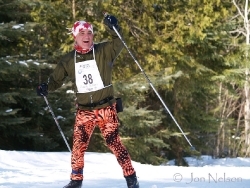 The photos are wonderful and the captions provide added context. Everyone loves looking at pictures of themselves and their friends and family-I’m going to link them to the Loppet website.